Amla is one of the most important herbs in Ayurvedic medicine with an incredible list of health benefits. A whole book could be written on all of the potentially beneficial uses of the Indian gooseberry, also known as amalaki and amla berry. Ahead are some of the most valuable for improving your health and wellness, with scientific studies to back up the claims. First though, a quick summary. Many more Indian gooseberry benefits have been written about and I’m sure a good practitioner of Ayurveda could advise on more specific uses. While I have great respect for amla’s important place in thousands of years of Ayurvedic tradition, this page will focus on some of the most interesting recent scientific research to support the health claims of this wonderful superfood. Powdered organic amla fruit like this is something I personally use most days (sometimes several times a day) ever since reading about the many beneficial effects it can have on your health. My research has shown that these Indian gooseberry benefits come primarily from its rich array of antioxidants, rather than an unusually high vitamin C content which some websites list (and which may not be the case — see What Is Amla for details). These antioxidants include ellagic and gallic acid, emblicanin A and B, punigluconin, pedunculagin, chebulinic and chebulagic acid, quercetin, corilagin and many more. Free radicals, such as superoxide, singlet oxygen, hydrogen peroxide, DPPH, hydroxyl, nitric oxide and several others are strongly implicated as a factor in many debilitating diseases and are proposed as the main cause of aging within your body. Detailed scientific analysis of the free radical scavenging properties of amla showed it to provide powerful antioxidant protection against these damaging compounds. In fact, in another recent study of the antioxidant potential of approximately a thousand different kinds of herbal extracts, Indian gooseberry was one of only four superfoods chosen for their ‘prominently potent ability to scavenge superoxide radical‘, and hydroxyl radical (another damaging reactive oxygen species) as well as displaying resistance to being damaged by heat. Taking amla as a supplement, like these popular organic Indian gooseberry powder capsules, can help to protect your skin against poor dietary choices and environmental pollution that age it over time. Now a new scientific study has also shown that an amalaki extract can provide significant protection against free radicals from the UVB radiation in sunlight that breaks down skin’s connective collagen and leads to wrinkles and sagging skin. More proof of the benefits of amla for your appearance. One of the most interesting and important areas of amla research is in the field of cancer prevention. Type 2 diabetes is a rapidly growing health problem related to our increasingly poor modern diets. Blood glucose levels are particularly important for diabetics to keep under control. To this end pharmaceutical drugs are usually prescribed. Heart disease, still the biggest killer of Americans, is a disease of oxidation and inflammation. Given that, it’s not surprising that a powerful antioxidant and anti-inflammatory like amla would have a positive effect against it. Certain cells known as osteoclasts are involved in bone loss in osteoporosis and rheumatoid arthritis. Researchers found an amla extract was able to induce cell death in mature osteoclasts, thus potentially limiting the damage they can do to our bodies bones and joints. Free radical damage is considered an underlying cause of alcohol induced liver complications. Three different animal studies have shown Indian gooseberry extract reduced oxidative stress to the liver. New strains of bacteria are becoming more and more resistant to antibiotics. However, certain superfoods like amla have natural antibacterial and antimicrobial effects that may help to counteract these pathogens in your body. Amla health benefits also include preventing and even treating ulcers. An extract of Emblica Officinalis (Indian gooseberry) was shown to inhibit the growth of the Helicobacter pylori bacteria, responsible for painful gastric ulcers. Scientists studying amla extract and its usefulness against the Helicobacter pylori bacteria said it was highly effective at controlling its growth and recommended it for therapeutic use against gastric ulcers (Anti-Helicobacter pylori and antioxidant properties of Emblica officinalis…). Scientific research like this is interesting, but it is unlikely to ever tell the true story of all the potential benefits of amla for your health and wellbeing. Individual isolated compounds may show great potential in studies, but it makes far more sense that the full spectrum of antioxidants and other beneficial substances found in Indian gooseberries work together inside our bodies in ways too complex to replicate in the lab. I also feel that there is far too much emphasis on finding a miracle cure for diseases that are already in late stages of development. Surely a more important use for potentially anticarcinogenic, blood sugar controlling and heart protecting superfoods such as amla berry is in helping to prevent diseases like cancer, diabetes and atherosclerosis from ever developing in the first place. To this end I’d recommend reading How to Use Amla for suggestions on how to add it to your daily diet, as well as dosage and side effects information. Powdered organic Indian gooseberry is inexpensive, easy to take and, as this page has hopefully shown, may help enhance your health and protect you against some of the most serious diseases. Amla capsles, like these highly rated ones, are also available and are much easier to have when travelling or to keep at the office and take with lunch. There are other ways to use amla as well, including amla juice, the whole berries and special amla hair oil. This article has all my recommendations for buying Indian gooseberry powder, capsules and more online. Have you read about the many health benefits of amla before, or even heard of the Indian gooseberry at all? This superfood seems to be widely unknown in America so please share this page if you think it could help others. Hopefully, with all its beneficial properties and the weight of supporting scientific research coming out, amla won’t stay a secret for long. 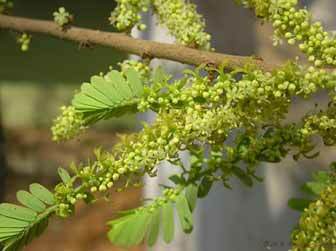 Where do i buy indian goosberry amla pumlin seeds and other super foods ? Some specialist Indian grocerers will stock fresh Amla. They’re worth trying at least once if you can find them. Personally, I prefer the convenience of the Indian gooseberry powder There are a couple of links to the best I’ve found in the page above. There’s also more information on how to take it on the next page. I have already had cataract surgery and detached retina repair surgery. Is there any Ayurvedic protocol that I can follow to prevent further damage? I’d suggest seeing a Ayurvedic practitioner as you have an unusual situation that should be treated specifically. I have enjoyed green Amla fruit cooked as stirfry in mustard oil with some turmeric, red chilly powder, fennel seed, salt to taste and spices for an Indianised taste. This way Amla becomes soft and is very palatable; I enjoyed it. You might check the spelling of amalika. Raw amla are not sweet, for those trying to avoid fructose. Amla or the Indian Gooseberry is very good for hair problems too. Amla is one fruit even if dried and eaten it does not lose its vitamins. You can take amla in any form. I is very good for the hair and it is rich in Vitamin C. It is an ancient ayurvedic treatment for hair loss problems. Night – Around 8pm 5 amla – juicy mode. I am feeling very very fresh always. I could play Basketball with my son more than 2 hours daily. I am planning for Blood report tomorrow. My report only will say, whether I should continue the AMLA or not. If my report is satisfied, then I will proceed further. Will post you the blood report tomorrow. Hi, I’m thinking about incorporating the Amla powder into daily diet. My main concern is hair shedding and graying. I know the fresh fruit would be the best option to use, but would digesting the recommended dose of the powder assist in treating those concerns? And overall, do you know whether the powder is as enriched with the antioxidants as the fruit would be? The fresh fruit is likely a bit better but I’ve found the powdered amla in this post https://superfoodprofiles.com/how-to-take-amla-better-health very beneficial. It’s available for cheap international delivery as well. Did you check for glucose level ? how reduced or maintaining in same level? don’t get cold while taking amla? i have been taking amla juice for 3 month, i am always getting cold, my father told me it makes our body cool so thats why we getting cold. i wonder how you don’t get cold even you taking at night time.